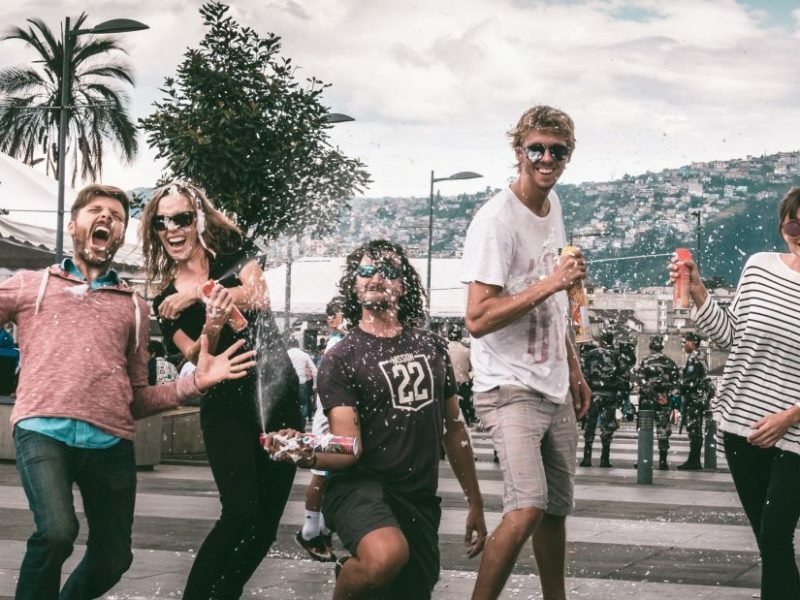 One of the first things people ask us when they first find our blog is: How did you get Monaco to sponsor you? Well, Monaco did not give us a coach, and they haven’t become a sponsor of Gone With the Wynn’s yet either. Rest assured we’ve tried to get them to sponsor us by giving us a new 2011 Monaco Vesta, but no such luck. Good news is our opinion is not purchased, so we’re free to say what we want. So the next question we get is: Why did you purchase the Monaco Vesta? A little insight so you know our camping & rollercoaster RV past: 1. Car/Tent camping for years in TX, CO, NM, FL, AL MI, TN; 2. In early 2006 we purchased a 1985 VW Vanagon Camper Van that broke down nearly everytime we drove it; 3. In late 2009 we purchased our first (spankin’ new) class A RV that ended up being a lemon; 4. 02/2011 Purchase of the 2011 Monaco Vesta 32′ class A motorhome. The final question about our travels across the US in 2011 is usually along these lines: After 1 year, how do you like your 2011 Monaco Vesta 32 foot coach? 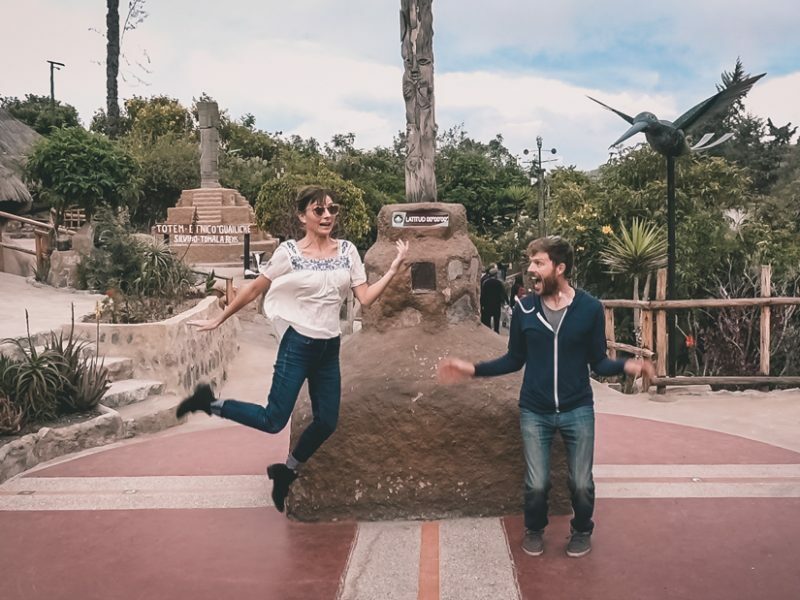 Honestly we have loved every minute of our travels across the USA! Living full time in a 32 foot RV is comfortable, maybe a little tight, but overall it’s pretty cozy. Sometimes I wish we had another slide in the bedroom to fit a few more clothes, or think about how nice it would be to take a bath, but those thoughts pass. 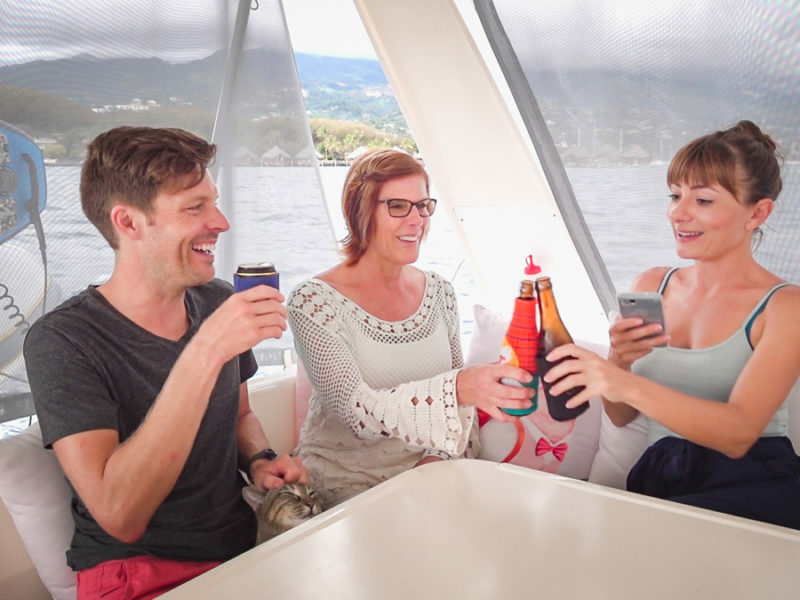 What living in the 32 foot Monaco Vesta does allow us far outweighs the ‘wishes’. A new world every week just outside your door, solitude when you want it, and community when you need a friend. The people at Monaco Coach have taken care of our every need. Sure we’ve had to go in for service a few times, but my warranty advisor John makes sure we’re in and out as quickly as possible. When you purchase a new RV (especially a spankin’ new model like the Vesta) things will break, hinges will jiggle loose, and small problems will arise. Thankfully our motorhome has treated us well, with minimal issues and good fuel economy (not compared to a prius, but pretty good for it’s size). Not a day goes by that I dream of going back to our previous lives. 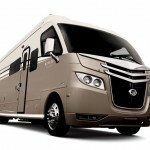 We recently attended the Pomona RV show in California and had the opportunity to view the 2012 models from Tiffen, Winnebago, Fleetwood, Monaco, etc and we’re happy to report after viewing all the new products it’s our honest opinion the Monaco Vesta 32′ RV still stands out as the clear leader in quality and technology. Of course all these items are our reccomendations, so take it or leave it. If you have a personal experience with the Monaco Vesta or Tiffin Allegro Breeze please leave a comment below (your email will stay private). Also please know pricing, options, design is subject to change, these numbers are based on our original findings in early 2011 when we purchased our new motorhome. We are considering purchasing a 2012 Monaco Vesta 35pbd and will test drive it next Friday. This is a one owner vehicle that has 18,000 miles and has been sitting up for a couple of years because the owner decided he was too old to travel in it. We are probably older than most RVers (late 70s) but we are in good health and love to travel with our large dog as well as occasionally with children and grandchildren when they are able to get away. We usually travel 10,000 to 15,000 miles a year. Do you have any pointers on what we should consider when we see and drive the unit? This will be our 4th motorhome but it is the first diesel. The layout of the MH is perfect for us and we love the look of it in the photos but we are totally inexperienced with diesel motorhomes. This is late in the game for this forum but my wife and I are purchasing a used 32pbs Trip 2011 with 9000 miles on it. I love the look of this thing and have owned 4 different gas class A’s. This will be my first diesel and have been reading a lot about the Maxxforce 7. Issues with the emissons are not a concern because these are not ‘tested’ yearly and there is no issue of ‘failing’ the test. I plan to change all filters and do my diligence in maintenance. Love the low profile, steady tracking on the road and quality of the Holiday Rambler ( have owned one other ). Cummins has built solid engines in the past and I feel good about it. The size is perfect, just wish they had put a small slide in the rear of the 32PBS. Lots of exterior storage and like the idea of the air ride and air leveling. Looking forward to better than 8 mpg. We are thinking of buying a used 32 ft. 2014 Tiffin Breeze. Some people have adviced us that the diesel engine is a problem. Sounds like you guys are happy. Have you had any problems with the diesel? Read this older post and wondered if the comparison would not have been different if you used the 32′ Breeze; apples to apples. It would seem the breeze might fare better. Good Sailing. Are you still out there? Interesting to note that given our economics, the few Rvs we are looking at include the vary ones you have long ago considered here. Good to also hear the recent positive Breeze comments. Do you have more recent evaluation of the Vesta? This is Karen Webster one of your previous students from Kadena… we are looking at a Tiffin Breeze too. I hope we run across you and your husband someday! Did you go with the Breeze? Hello. Enjoy your articles. 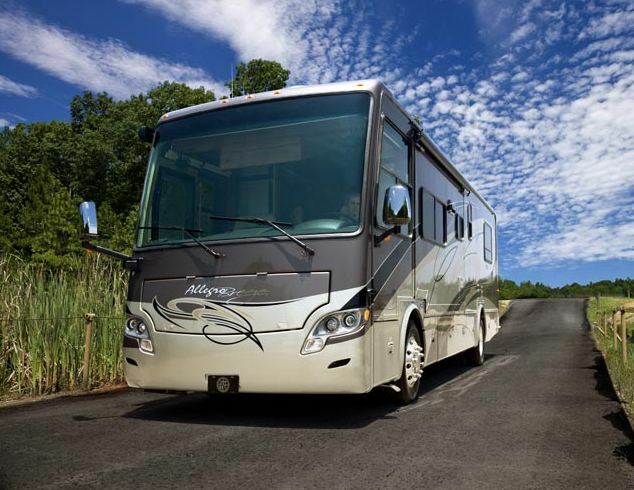 While I am sure your coach is great for you, we own a 32′ 2011 Allegro Breeze and in one word, it has been EXCELLENT! We’ve camped all our life’s, from tents to travel trailers, to 3 different motor homes. 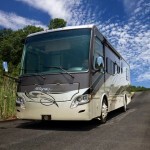 The 32′ Allegro Breeze has been the BEST coach we have ever owned. We have not had a single problem with the coach since new. We are not full timers, but travel every summer for two to three months. We’ve put over 60,000 miles on our coach and other than oil and filters, t has been trouble free. Fuel mileage is in the low teens and very comfortable. Love it. My wife and I are retired and traveling without children or pets. We logged over 20,000 miles the past year. Our first motor home was a Coach House Platinum 232. Currently we have a Lazy Daze 26.5. We have no desire to pull a toad. Maneuverability is critical. We are not full timers yet. Considering moving to 30-34′ range(with permanent bed). What would you consider to be the optimum length without sacrificing maneuverability? They are very similar with just a few differences. Both are great coaches. I don’t think they will make the Vesta again…which is sad. We loved ours. No, the Vesta was obsolete within two years. Navistar produced a noncompliant EPA engine suffered numerous class action suits and sold the brand-name Monaco to REV at a substantial loss. Navistar produced this product for only two years with very disappointing sales, today it is obsolete. to the Johnsons; we purchased a new 2015 earlier this year and we love it. It has everything we need however if I were full timing it I would love a washer/dryer. We immediately had some issues with our engine exhaust, became a worry as a newbie, but Tiffin was responsive to our needs. Even Bob Tiffin called us back! Just remember once you purchase engine issues go to a trucking type repair center and not the dealer. Happy Trails! Hello Wynns! We are so excited to “meet” you, as we seem to be very kindred spirits. We did our first RV trip in 2010, traveling from the Florida Keys and ending in North Carolina via the outer edge of the US (LA, TX, UT, CO, CA, OR, WA, IN, OH, ME, NY, NJ, etc.) We were on the road for 6 months and it was our very first RV experience, so we were conservative and purchased a 2005 Coachman Concord 275; it suited us perfectly well for first timers, but we certainly learned a lot, like the incredible importance of auto-leveling jacks (those bright orange leveling blocks are for the birds)! We are just now transitioning into becoming Full Time RVers and are very attracted to the 2014/2015 Tiffin Allegro Breeze 32. Everything we have heard about Tiffin, not only as a product, but also as a computer/customer service, has been excellent. It is just the two of us, so we feel the space is ample and seems 4 times bigger than our Concord was with the opposing slides. My only concern is the small cooktop; I love to cook, but I also love to cook outdoors, so maybe this will force me to expand my “open fire/grilling” recipes. I just want to thank you for posting this blog. We have learned so much about how to start our life as Full-Timers and we are excited and confident it will be an amazing adventure! We hope to meet on the way as we both continue our travels! We love our 2011 Allegro Breeze 28BR! The interior white cabinets were a great plus for both of us (Maui design). The rear diesel and projected mpg were the main selling points. We bought it from a private seller couple–one wanted to sell it, the spouse didn’t! You can never be sure of a selling reason, therefore we didn’t ask. But we have had no issues with it and it performs very well. It was pampered, perfect condition and has many extras. White cabinets are so great! It makes everything feel so much brighter. Thanks for the blogs. Really, really helpful. I am looking to purchase a 2011 Tiffin Alegro Breeze 32. Was worried about the Maxforce engine too, but I am now cool with it, but wont put on a lot of miles. Will sell before I reach 100K miles. Thanks guys, especially for the mpg info. P.S. I was getting 16 mpg on my Sprinter-Winnebago View. Happy to help Vernon, and yes the 32 is much better than the 28 Breeze. Wow. Just found your web site. Awesome. Thank you. My husband and I have been traveling with a fifth wheel for over six years. Yes, we are retired. We do not want to be full timers. We are ready to trade our 2010 Cameo by Carriage 37.5 fully loaded fifth wheel for a very small class B or C. We would love a leisure van with the murphy bed but feel that is more than we want to spend although I love the floor plan. Large bath, disappearing bed and tv. It doesn’t get much better than that. We hoping to find something in the twenty-four range. Any suggestions? Thanks and happy travels. We also like the Via if you can live with the floorplan. Good luck. What was your experience with the Carriage Cameo? What did you tow it with? I have a 32 ft Breeze and just returned round trip from Southern California to San Antonio Texas. Our mileage was great as we kept our speeds about 62. Power and handling was better this time out. I made sure tire pressure was at manufacturer settings. We got about 12 mpg. AWESOME Fred! Glad you had a great trip. Thanks for sharing. Did you keep track as we recommend in our Mileage Posts https://www.gonewiththewynns.com/vesta-fuel-economy, or did you rely on the computer? Thanks everyone for these comments. They are very useful! We just spent the day looking at the Tiffin Breeze 32 (loved it) and also the Allegro 31SA – REALLY like this floor plan with the L-shape sofar opposite tv and optional fireplace. Also option for computer workstation instead of dinette – which would work better for us and more basement storage. So this probably has the edge right now. But we do love the ivory cabinet option in the Breeze, looks so much nicer, lighter and more modern! We also liked the Bounder 33C and Bounder Classic 34M. (3 slides). Only the Breeze is diesel, the other 3 are gas, but based on our discussion with the sales guy and a few other rv owners, we think the gas could work just fine for us – and be much more affordable. Would welcome any further comments from others who have experience with any of these RVs! Thanks again and have a great day! The Damon Avanti is a great starter coach, and very innovative, however from our experience the overall quality doesn’t seem as nice as some of the Fleetwood and Tiffin products.  In general gas is a much less expensive option in all regards when you factor in the major costs: maintenance, fuel, depreciation and initial purchase price. On the other hand gas RV’s are often less comfortable to drive, they don’t make it up mountains the same as diesel and often have more side-to-side sway while barreling down the road. I’d say take one of the gas models on a test drive and tell the salesperson you want to hit the largest hill in the area! 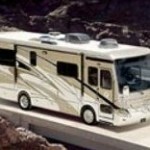 Don’t hesitate to demand a 20-30 mile test drive….Buying an RV is a huge investment. Hope this gets your brain going. I own a 4winds 2011 Serrano with the front mounted maxforce 7 engine. What is liquid urea and what do I do to meet California emissions. I just renewed my registration and no smog cert was needed but I think they are required every-other renewal. Is it time to sell? Bugslinger, you can NOT put urea into your engine. I am not sure your RV will fail emissions tests, I do know Navistar was not able to reach the EPA goals with their MaxxForce line of engines, but not positive how that translates in the “real world”. So how do you feel now that Monaco has stopped making the Vesta and it has had huge problems! Our Vesta has been a great investment for us and I would not hesitate to recommend it to anyone looking to purchase a great used coach. I have heard a few people mention something along the lines of “huge problems” however I have not experienced these issues. Nikki and I have the opportunity to speak with other Vesta owners on the road and they too are satisfied with their purchase. I guess I’m at a loss as I am not sure what issues people are talking about. The only major issue I know of is the EGR based exhaust system in the International engines not being clean enough for diesel emissions requirements set by the EPA. This is the reason the Vesta is no longer being made as currently there are no other mfrs making engines for a front engine diesel. I have had very little issue with the international engine quality and service it’s a simple issue of the particulates in the exhaust. So the short answer is I’m happy with our purchase and with the power of hind-sight I would still pick the Vesta over the Breeze, but that’s just my two cents. And if you are wondering we do still like the Allegro Breeze, and the white cabinets are the best keeping the cabin looking bright and happy vs. the dark wood of most RV’s. Has anyone out there experienced any concerns with bed heat emanating from the RED in the Allegro Breeze 32BR (or 28 for that matter)? We are considering purchasing one and this is one area of concern for us. Thanks. I am going to post this on our twitter and facebook pages to see if anyone there has any help for you. I too am looking at both coaches but am concerned about the Maxforce 7 engine, do you have any information about them? I spoke with Monaco and International about the Maxxforce engines. Here’s the scoop straight from the horses’ mouth (well at least the abridged version): The issue is NOT with the quality of the International Maxxforce engines, all warranties are still valid, and the engines are as strong as ever. What the issue is: International tried to create an engine that met the new diesel emissions requirements without putting the burden on the consumer (i.e. forcing consumer to use urea in the engines). Apparently the emissions regulations are not quite clean enough to reach the EPA requirements. So, this is where the issue lies. International and Monaco assure me they are going back to the drawing board to create a new line of engines that are even better. In the interim if you’re looking to purchase a new or used RV with the Maxxforce line of engines rest assured the engines perform well, and don’t need liquid urea.  **Monaco or International did not pay me to write this. My personal experience has been great with the engine, and I’m happy I don’t need to put liquid urea into it. We have been into the shop 2 times in the past year once to address engine updates, and another due to a faulty switch that shut down our engine. All our issues have been fixed and we haven’t had any issues since. Lee, we still love our vesta almost 2 years later. However, it’s always nice to save that depreciation money if there is a coach you like that is a few years old. 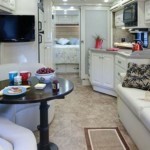 Newmar makes great coaches so I am sure you will love it! Harry, at the time this was written the 32 Breeze did not exsist. When we get time, we will update this post with the new features of the 32ft as it is a better direct comparison. Love the “Believe in Your Self”! We recently purchased the 32’ Breeze and had the same challenge deciding between it and the Vesta. We liked the combination of the traditional and modern design of the 32’ Breeze, but for us, the final decision for the Breeze was the rear engine. Also, the 32’ Breeze has the full size queen as well. 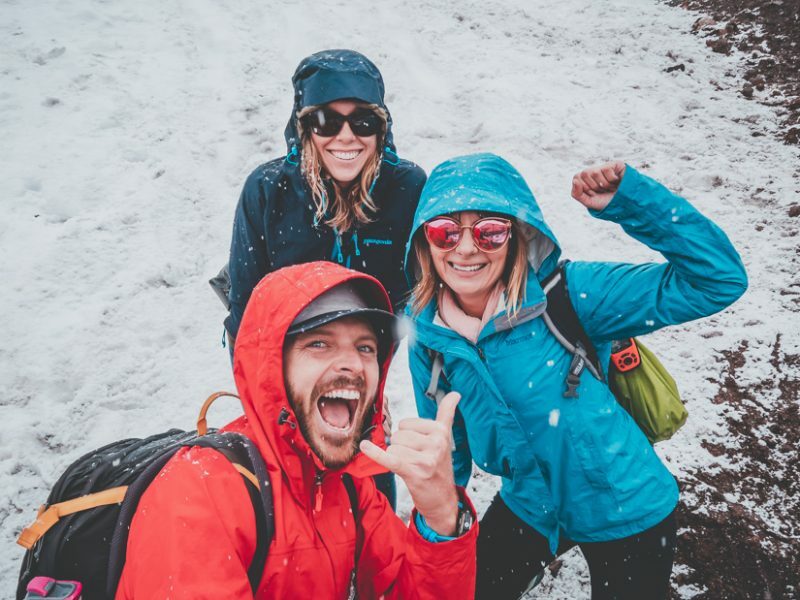 Love you guys… I’ve learned so much from you and follow your adventures every day. Brad, It is a tough call, both coaches are great! You will love your Allegro! We have talked with several owners and they love their Tiffins! We also have a full size queen bed, it’s a must for two people! Thanks for following and thanks for sharing your decision. Maybe it will help some others.